It's time for another edition of My Creative Time's My Favorite Stamp of the Month! Today we are showcasing two of Emma's stamp sets that are now ON SALE: Just a Little Note to Say... and My Favorite Sayings! Head on over to the My Creative Time Store to pick up your stamps and then join in the Link Up Party on Emma's blog! 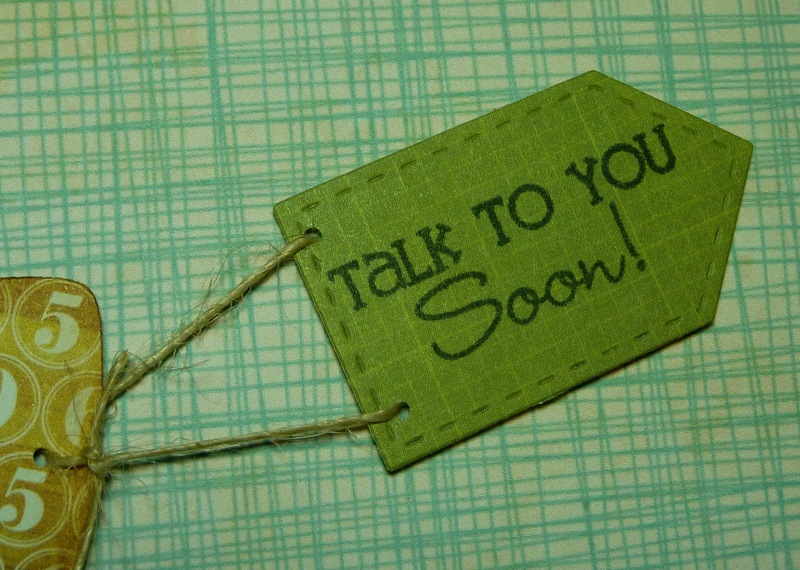 Everybody is invited to link up their new and past projects created with these stamps. For my project today, I made a card that fits in a business size envelope. My green card base is cut at 9 1/4" x 8", scored at 4". The brown layer is 9" x 3 3/4", and the patterned layer, printed from the Cricut Imagine Best Friends cartridge, is at 8 3/4" x 3 1/2". 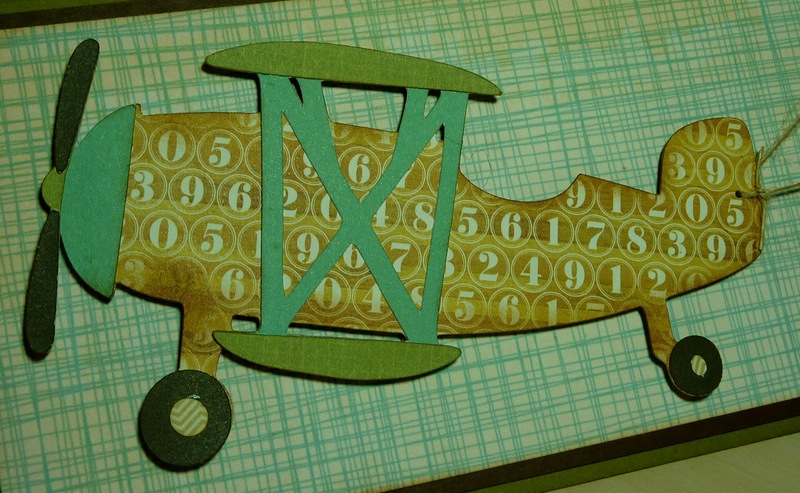 This cute airplane is from the Cricut Pop-Up Neighborhood cartridge. I cut it at 3", using papers from the Echo Park This & That: Charming collection. For my banner, I die cut a little tag from My Creative Time's Build a Banner Kit, stamped it with a sentiment from My Favorite Sayings, and tied it to the plane with some twine. 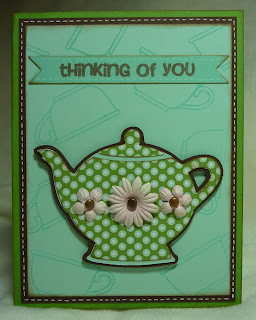 Here is another card that I made in the past with the My Favorite Sayings stamp set. Just click on the link below it to see the original post with details. And here are a couple of cards that I've made with the Just a Little Note to Say... stamp set. 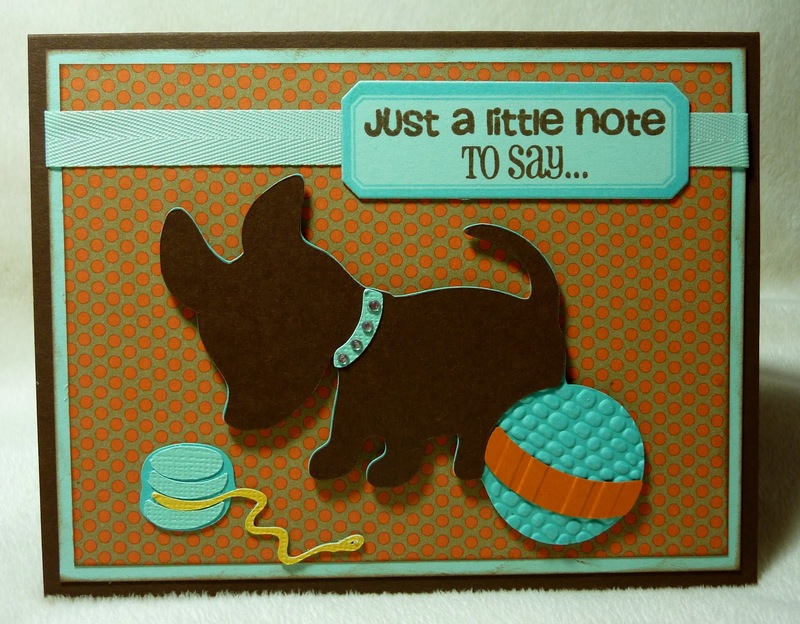 Don't forget to stop by My Creative Time to join in the fun and to see the great projects created by Emma and the rest of the design team with these two fun stamp sets! Katie ~ OMG! I LOVE this card! The patterns you chose are AWESOME! You might just motivate me to turn that darn Imagine on! That plane is tooCUTE with the tag hanging out the back! My son, who is home sick AGAIN, LOVE it! Oh the blast from the past cards are AWESOME too! 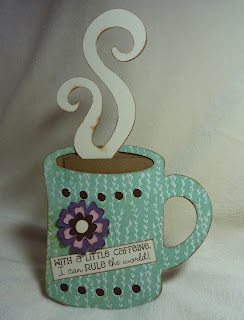 That coffee mug one I so remember ~ the video too! As always LOVE your creations! I love them all Katie , the airplane is adorable , going to pin it if you don't mind ..
Great cards! The plane is a pop-up not popped up...another good thing about that cart...you can just use the shapes. Great video on the cup card holder...very clever.